One can't help but appreciate the time and effort that is put into the making of this pendant! 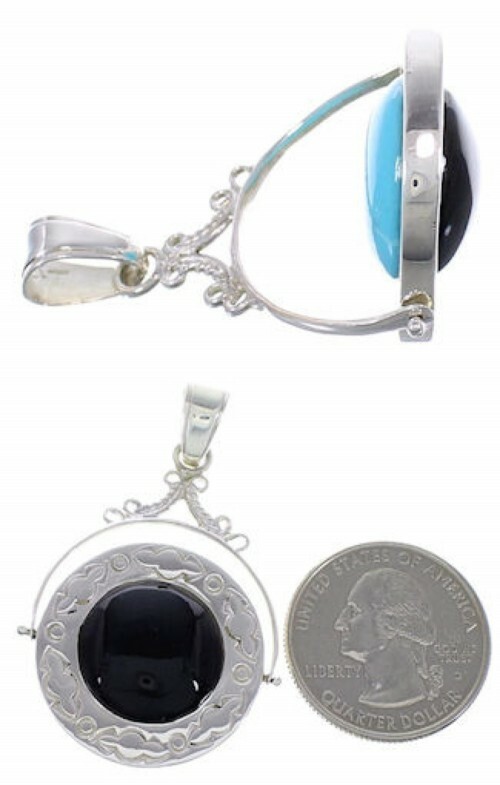 This extraordinary pendant is hand crafted out of genuine sterling silver, along with real Turquoise and Jet stones. The pendant has a total of TWO stones (one on each side) that are delicately set while stamped patterns and silver work can be seen highlighting for an amazing finish. The pendant is stamped sterling and hallmarked.